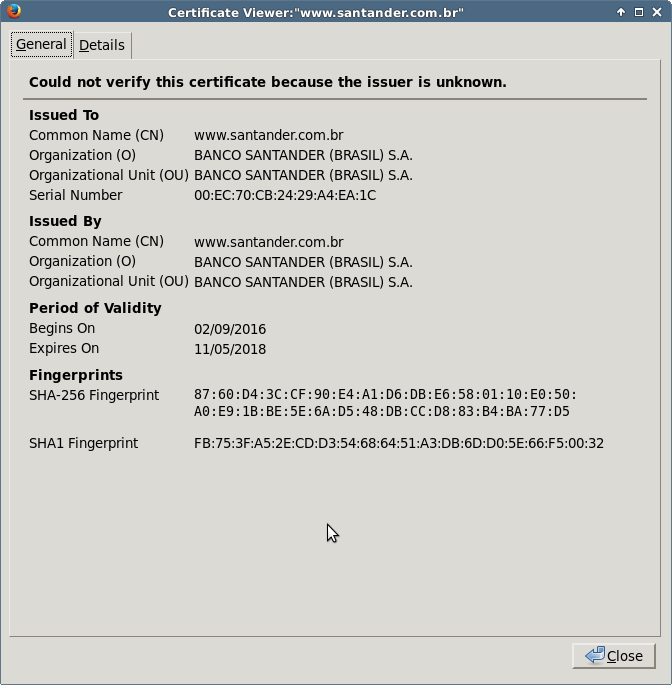 This message was sent to a Brazilian citizen. 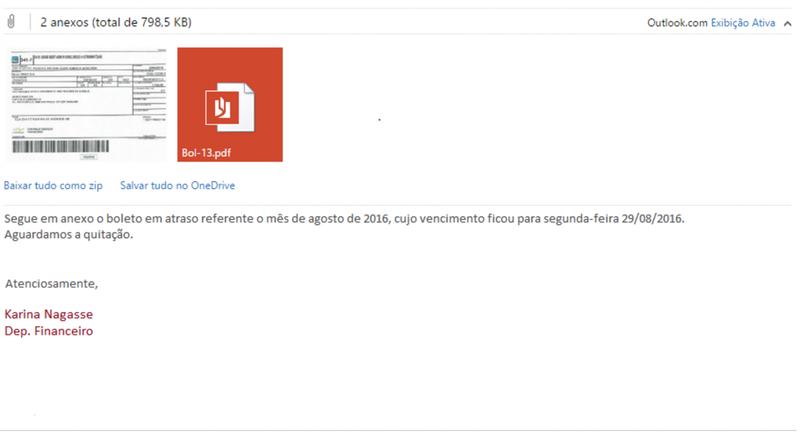 Redacted in Portuguese, it could be approximately translated with the help of Google to: "Please find attached the pay slip of Augustus 2016 which expires on Monday 29/08/2016...". Note: files from 0.png to 9.png are available and they have the same content. The IP address is located in Brazil . Finally, all running browsers are killed (in the hard way!) to force a reload of its configuration. Note that when I performed my analysis, only Chrome was killed. I presume that the malware searches for running browsers and only kill them if found. 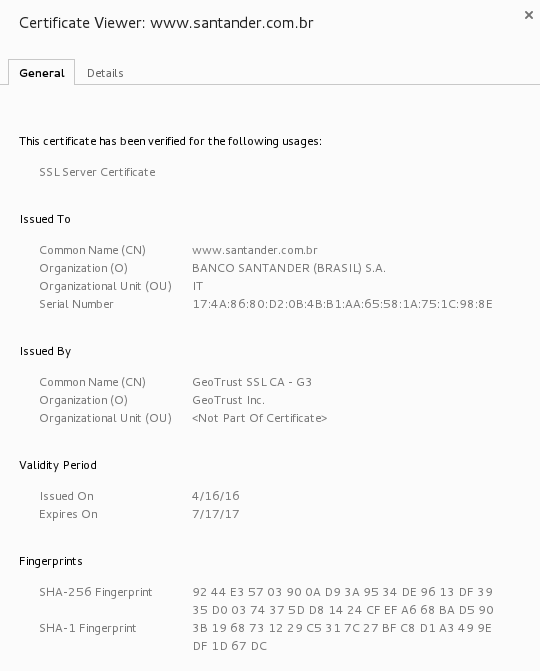 From now, if the victim visits "www.san*ander.com.br*", his/her browser will forward all requests to the rogue proxy server running on 200.98.202.51:1023 otherwise it will fetch all other URLs directly. I tested the proxy (a Squid/3.3.8) with other URLs and I always got a permission denied. Normal behavior or configuration error? I don't know. As you can see with this example, it is quite easy to hijack the traffic from specific websites. With this technique, no need to use a complex exploit or to try to break the encryption. Just change the browser behavior and you will get a copy of all the victim's traffic. When responding to incidents, it’s easy to go down a rabbit hole that likely won’t produce results to the questions we are always after: How did the attacker get in? What information is contained on the system? And What information was accessed? To streamline analysis we need to determine what information is most useful for each incident classifications, this gives more flexibility to SOPs by pulling these into a methodology depending on the investigation. Rather than adding these processes over and over into different procedures documents (which all may not get updated) you can link to one process from the methodology. Do anyone else use a similar process or have a better one?Leave a comment.